Embattled producer Harvey Weinstein tried to use previous statements about him from actresses like Jennifer Lawrence and Meryl Streep, in an effort to get a sexual misconduct lawsuit dismissed, which has backfired rather quickly. After both Meryl Streep and Jennifer Lawrence called out the producer for taking their statements on public record out of context, Harvey Weinstein was forced to issue an apology earlier today. Here's what Harvey Weinstein had to say in an apology, through his representatives. "Mr. Weinstein acknowledges the valuable input both Meryl Streep and Jennifer Lawrence have contributed to this conversation and apologizes. Moving forward, Mr. Weinstein has advised his counsel to not include specific names of former associates; and to avoid whenever possible, even if they are in the public record. Mr. Weinstein has been informed that his civil counsel responded in court to a class action lawsuit which improperly sought to include all actresses who had previously worked with Mr. Weinstein, even where those actresses have made no claim of wrongdoing. Even though Mr. Weinstein has worked with hundreds of actresses and actors who had only professional and mutually respectful experiences with him, Mr. Weinstein has directed in the future that no specific names be used by his counsel, even where those actors have made previous public statements about him." The controversy started yesterday when Weinstein's lawyers filed a motion to dismiss a federal lawsuit filed late last year by Louisette Geiss, Katherine Kendall, Zoe Brock, Sarah Ann Masse, Melissa Sagemiller and Nannette Klatt tthat cited the RICO Act. That motion included statements from Lawrence, who told Oprah Winfrey that she had known Harvey Weinstein since she was 20 years old and that, "he had only ever been nice to me," along with part of a statement from Streep where she stated that Weinstein has always been respectful to her. After the motion was filed yesterday, Jennifer Lawrence fired back with a statement of her own, which she gave from the London premiere of her new movie Red Sparrow. "Harvey Weinstein and his company are continuing to do what they have always done which is to take things out of context and use them for their own benefit. This is what predators do, and it must stop. For the record, while I was not victimized personally by Harvey Weinstein, I stand behind the women who have survived his terrible abuse and I applaud them in using all means necessary to bring him to justice whether through criminal or civil actions. Time's up." Meryl Streep also shot back, calling Weinstein's lawyers "pathetic and exploitive" for using part of her true statement, "as evidence that he was not abusive with many OTHER women." 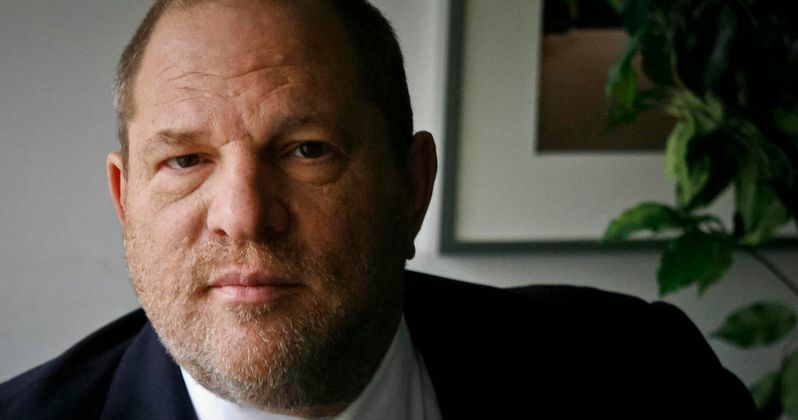 She added that, "The criminal actions he is accused of conducting on the bodies of these women are his responsibility, and if there is any justice left in the system he will pay for them - regardless of how many good movies, made by many good people, Harvey was lucky enough to have acquired or financed." Deadline reports that this lawsuit is one of many that Weinstein is "desperate" to get tossed out of court. The L.A. County District Attorney's office is also investigating multiple cases of sexual assault against Weinstien, with other law enforcement organizations such as the LAPD, the NYPD, the Beverley Hills police, the New York Attorney General and UK police also investigating other cases against him.